Medellin, Colombia, can be a tough city to love. Yes, it has a dark past and there are still plenty of visible problems, including street crime and a community that literally lives on top of a toxic trash pile. 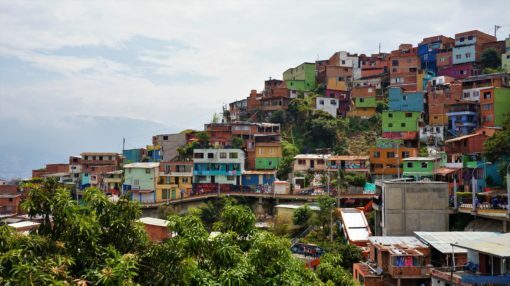 However, Medellin is also a city in the throes of a staggering transformation, one filled with some of the friendliest people we’ve met anywhere in the world. 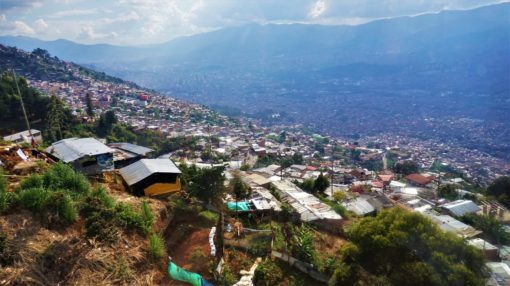 During our month in Medellin, as we took time to learn about the city, it steadily grew on us. 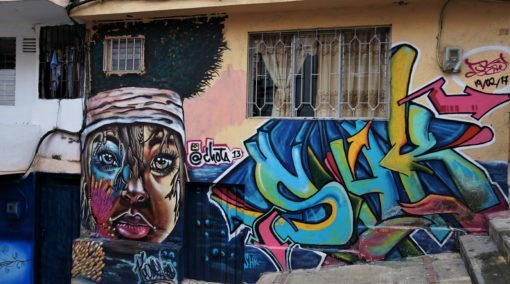 So, from cable cars to graffiti tours, here are our top things to do in Medellin Colombia and some tips for making the most of your stay. 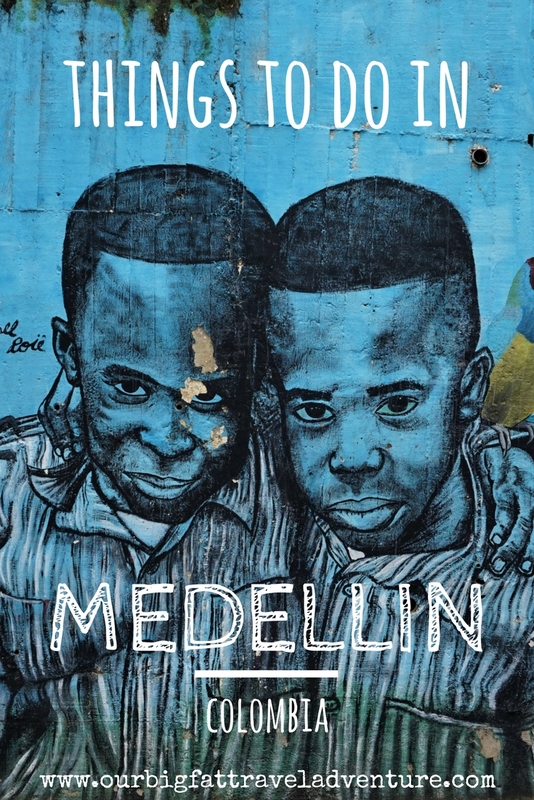 I’d recommend starting any trip to Medellin with this excellent Real City Tour, it’s a great way to get to grips with the city and its past. Our guide, Pablo, was a local who told us all about the history of Medellin and didn’t skim over the bad stuff. Without giving too much away, you’ll learn about its fragile transition from the world’s most dangerous city and home to drug lord Pablo Escobar, to one where public spaces have been cleaned up and transformed by art and social programmes. 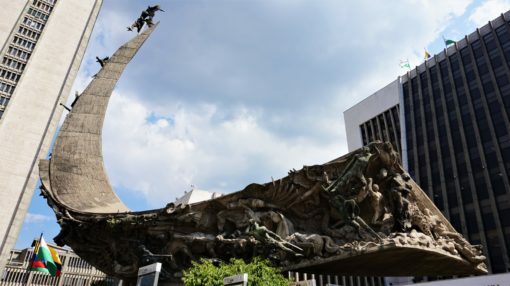 The tour starts at Alpujarra station and takes you through Medellin’s key sights in the central district, such as the Monumento a la Raza, Plaza las Luzes, Parque Botero, Plaza San Antonio and Parque Bolivar. 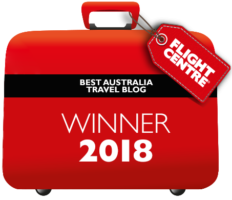 You can read my detailed write-up about the tour here, but it’s definitely the best ‘free’ tour we’ve taken anywhere in the world. Cost: if you’ve never taken a ‘free’ tour before the premise is that, rather than pay a fixed price upfront, you tip your guide at the end depending on how much you enjoyed the tour. We tipped £6 ($50,000COP) each for the three-hour tour. 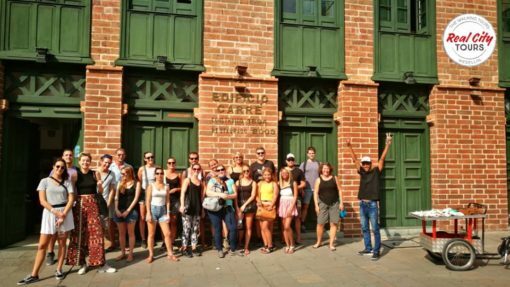 You can book a space online, do this in advance because the tour is extremely popular and the top rated of all Medellin tours. If you’re wondering what to see in Medellin aside from city sights, take the cable car up to Parque Arvi, a leafy nature reserve that lies in the north, high above Medellin. Up here, the air is cool and there are miles of nature trails and picnic spots to enjoy. The area is also an archeological site and features relics from the pre-hispanic era. There’s a small market by the cable car station where you can buy snacks and local produce such as strawberries to take with you on a walk. We didn’t get to spend enough time in Parque Arvi, unfortunately, and would recommend planning at least a whole afternoon, if not a day exploring the park. 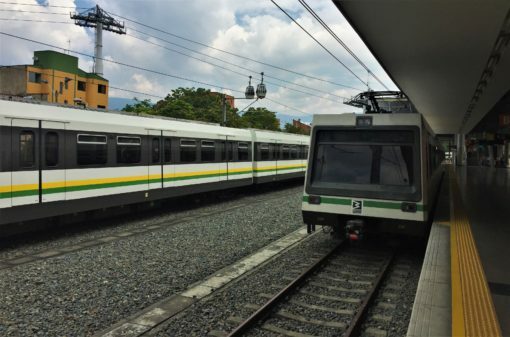 Cost: you can reach Parque Arvi by taking the metro to Acevedo and switching to the free metro cable car to Santa Domingo Savio, where you can pay to get the cable car to the park. From there, it costs £2.83 per person for a return journey ($11,100COP). 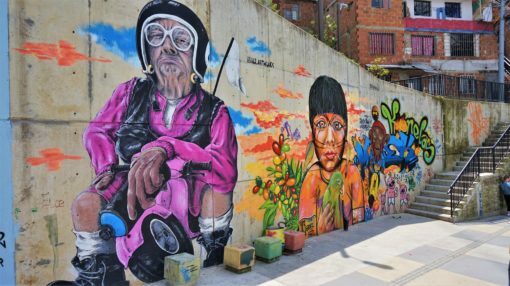 The Communa 13 tour is one of Medellin’s most popular and well worth taking to see some stunning street art and a living illustration of how the city has changed. We booked the free Zippy Tour, which left from San Javier station at 10am. Our guide Laura has lived in Communa 13, which was once the city’s most violent neighbourhood, her whole life. She explained what it was like to live in an area where young boys were recruited by cartels, guerrilla factions and Escobar’s gang to become hit men and drug dealers. In the worst period, during the years after Escobar died, hundreds of people were killed as different groups fought to take control of the area. Laura has friends who were lost in the conflict and was at home when the government decided to take charge with lethal air strikes and military action, in which many people from all sides of the conflict disappeared. The government still has no answers about what happened to these lost souls, but many suspect their bodies were dumped in hillside trash piles. It’s amazing then, to walk the streets of Communa 13 today, where people greet you with smiles and the streets are filled with colourful graffiti and have become a world-famous street art hotspot. Many of the murals depict the story of the Communa, with white flags for peace. Now, there are also social programmes in place and a series of escalators to connect the hillside community with the city. Cost: this was another free walking tour, which lasted about three hours. We tipped about £5 each ($20,000COP). There are many different companies offering a Communa 13 tour, we went with Zippy Tours and reserved a spot online in advance. 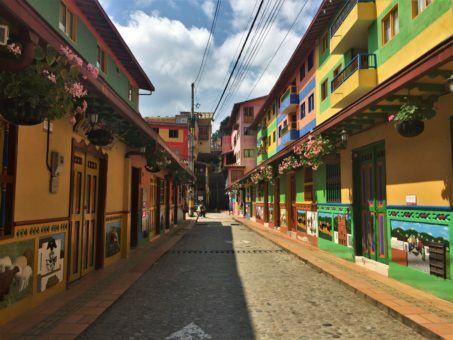 The tiny, colourful town of Guatape is the most popular day trip from Medellin. We decided to take an overnight trip there for Andrew’s birthday and fell in love with this tiny slice of Colombian countryside. Picture green fields and blue lakes studded with forest-topped islands, a town filled with colourful, tree-lined streets and white-washed churches. The main attraction in Guatape is La Piedra, The Rock, a 220-metre-high monolith that offers fantastic views of the surrounding landscape. Climb 650 stairs to the top for views of the water dotted with islets, stretching out as far as the eye can see. We also spent time simply chilling by the lake with a meal, sipping drinks in the main square and strolling the streets, photographing all the colourful buildings. Cost: we caught the bus from Caribe station, which is connected to the metro by a bridge. The journey takes about two hours and costs £3.57 ($14,000COP) per person each way. You can take a tuk tuk to the Rock for £2.50 ($10,000COP) and the entrance for the attraction costs £4.60 each ($18,000COP). We were so impressed with our Real City walking tour that we booked onto their fixed price Barrio Tour. During this trip, we visited the Moravia neighbourhood, which features a hill topped with flowers that we quickly learned is actually a huge trash pile. In fact, the hill used to be a lake where displaced Colombians from the countryside came to live. Unable to find work, they literally ended up living on a trash pile in makeshift homes. The problem got so bad that the pile started leaking toxic gases and the government eventually offered the residents free housing elsewhere, yet around ten percent of residents refused to leave. Our guide Diomar, explained to us the complex reasons behind the issue and we were joined by a local woman, Maria, who had lived in Moravia practically all her life. 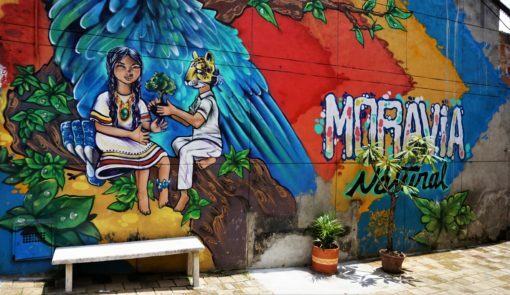 We also explored other parts of Moravia, which is the most densely populated neighbourhood in Medellin, learning about aspects of local life including medical and social care, housing, schools and visiting local community centres. The tour gave us a fascinating insight into life in Medellin in a colourful neighbourhood full of welcoming people. At one point, we stumbled upon a local party where people were dancing in the street, beckoning us to join in. Cost: the Real City Barrio tour costs £12.50 each ($50,000COP) and we got a 10 percent discount because we’d already taken the free walking tour. It lasts about three and a half hours and is well worth the price, this is one of the most informative city tours we’ve ever taken. You also get to taste a local drink along the way, mango biche – green mango juice with salt and lemon. It’s highly likely that you’ll end up staying in El Poblado, as most of Medellin’s hotels and hostels are located in this wealthy district. We rented an apartment in nearby Sabaneta, but would ride the metro to El Poblado to enjoy the peaceful leafy streets, which are filled with lovely cafés and restaurants. 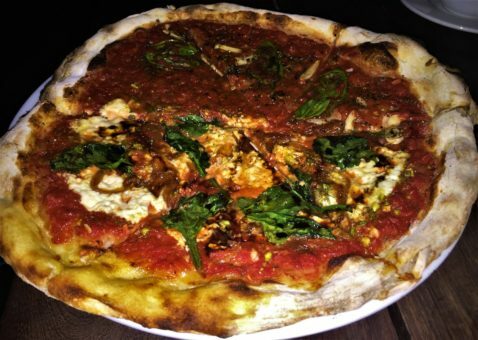 El Poblado is a popular expat area too and we found nice supermarkets there, as well as vegan restaurants like Verdeo and Café Zorba, which isn’t completely vegan but does serve a delicious vegan pizza. 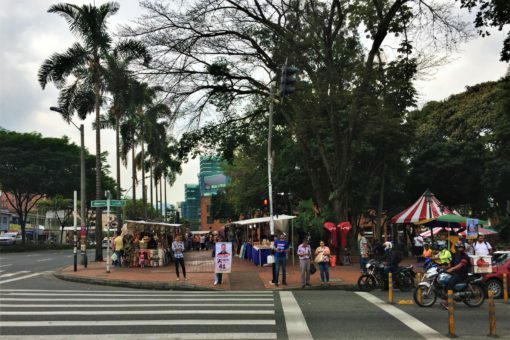 If we were to return to Medellin, we’d definitely book accommodation in the El Poblado area, which is also just a few stops away from the city’s downtown. 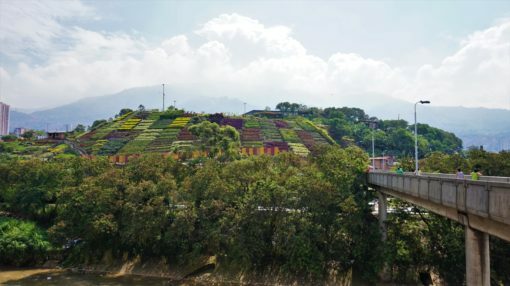 Getting from the airport into Medellin: be aware that if you fly into Medellin, it’ll likely be to Jose Maria Cordova International Airport, which actually lies about an hour away from the city. You can get a communal bus, but we got a taxi, which cost £20 ($80,000COP). Transport: ride the metro, it’s safe, clean, efficient and the quickest way to get around the city. Journeys cost just £0.60 ($2,400COP) per person and you can buy tickets from all stations. There’s also the cable car, which will take you up to viewpoints overlooking Medellin and to Parque Arvi. You can buy metro cards which you can pre-load if you’re staying in the city for a while, this helps avoid the queues, which can be long. We also used Uber several times in Medellin, which was incredibly cheap. Accommodation: as mentioned, the best area to stay is El Poblado and most tourist accomodation is centred there. 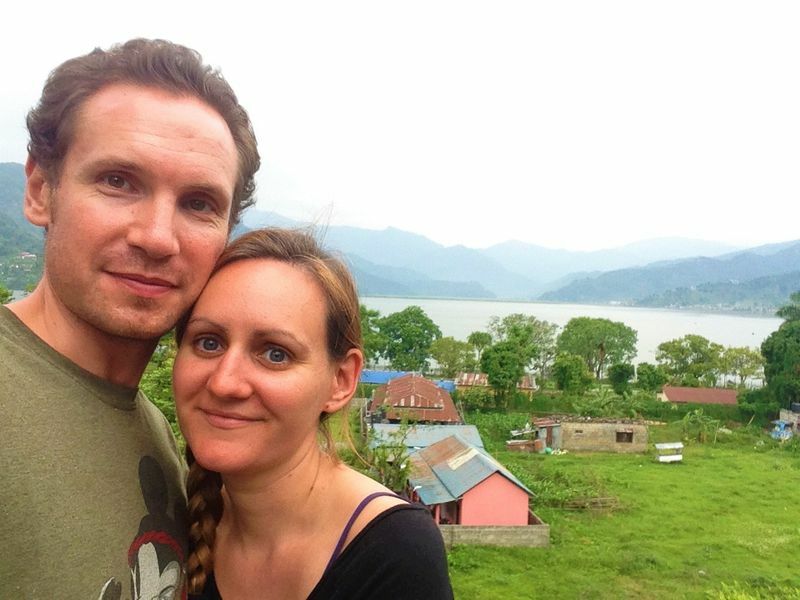 We booked an apartment because we were staying for a month through Latin Hosts in the Sabaneta neighbourhood, which is further out but has a nice local feel and is a safe area. 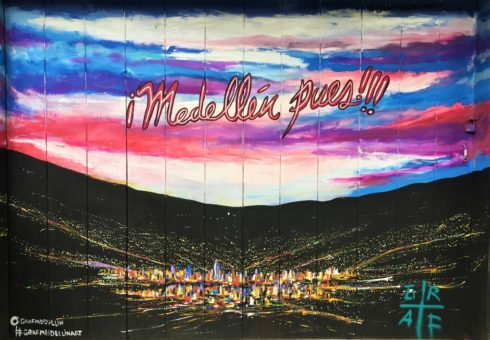 Sightseeing: it’s perfectly possibly to explore Medellin completely independently, but since the city can be overwhelming, we’d recommend taking tours, at least the free city walking tour which will help you get your bearings. 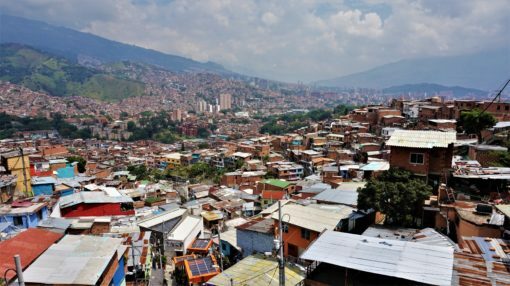 Safety: Medellin doesn’t have the best reputation and although it’s no longer plagued with violence, street crime is still an issue and there are still gangs and drug cartels, especially in the hillside communities. It’s a good idea to use your common sense, not to carry too much cash around with you or flaunt expensive possessions. Exploring difficult neighbourhoods as part of a tour group can feel safer. 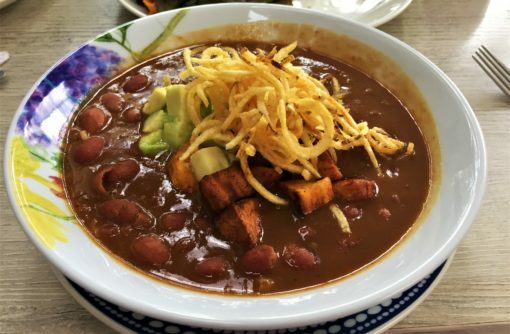 Food: we found the nicest restaurants in El Poblado, but mainly cooked in our apartment since we had a kitchen. There are Exito supermarkets everywhere to buy cheap groceries, as well as markets and local fruit and veg sellers. If you like local food, Colombian restaurants are cheap and there are tons of empananda stalls all over the city. This place looks so nice I didn’t know about the past of this city before reading your blog. you provide the information with a very good stuff. pictures are very beautiful especially houses are looking so colorful, thanks for sharing this post with us. Thanks Johson, glad you found it informative.